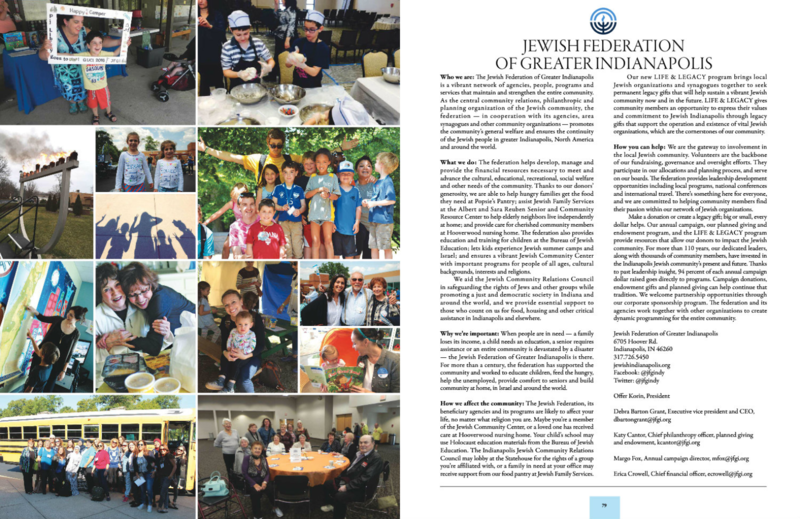 About Us | Jewish Federation of Greater Indianapolis, Inc. The Jewish Federation of Greater Indianapolis is your center for philanthropy—a vibrant network of people, agencies, programs and services that maintain and strengthen the Jewish community. Whenever a Jew is in need, the Federation is there. When thousands of Jews from the Former Soviet Union came to Indianapolis, the Federation provided apartments, food, English language classes and job training. When local Jewish elderly required additional services, the Federation and the Jewish Community Relations Council partnered with local, state and federal legislators to bring the Naturally Occurring Retirement Community Program to Indianapolis (now Elder-Friendly Communities). When Hurricane Katrina devastated the Jewish and general communities of New Orleans and the Gulf Coast, the Federation mobilized the local community through clothing, food and monetary assistance drives. The Federation is the connection to the entire Jewish community—in Indianapolis, in Israel and around the world. The Jewish Federation of Greater Indianapolis is the central philanthropic, planning and community relations organization of the Jewish community. The Federation and its agencies, in cooperation with the synagogues, function to promote the general welfare of the Jewish community and to ensure the creative survival and continuity of the Jewish people. The Federation community mission is grounded in a pluralistic understanding of the historical, moral and cultural values of Judaism. Get to know the staff who runs this Federation. Our five agencies provide amazing programming and fill crucial needs in the community. Learn about what each does. 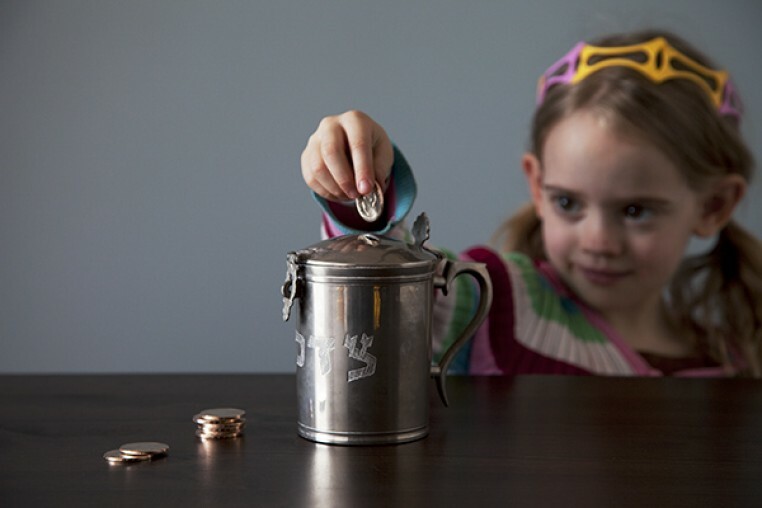 An endowment fund is the perfect way to be sure future generations can enjoy the same vibrant Jewish community we have today. From Israel to Russia to Hungary and more, we are making Jewish connections and strengthening Jewish identity across the globe.